Back electret condenser microphone with omni-directional polar pattern. light weight made from resilient plastic construction. 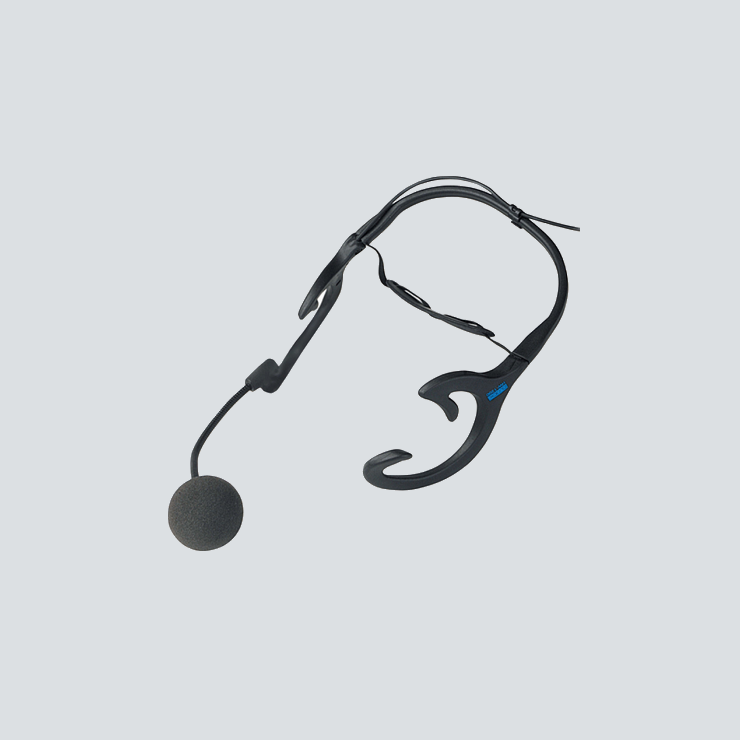 The design allows the microphone to be worn even under high activity lightly over the ears / head over long periods of time without fatigue tiredness. Lightweight head worn condenser Microphone. Terminating in a Tini Q (mini XLR) 4 Pin connector. Foam windshield fitted to Microphone capsule. Application Designed for use in theatres, presentations, broadcast studios, productions, places of worship and other applications requiring a low profile head worn professional microphone. Termination Tini Q (mini XLR) 4 Pin connector.